But Corlie’s world is about to vanish: the British are invading and driving Boer families like hers from their farms. Some escape into the bush to fight the enemy. The unlucky ones are rounded up and sent to internment camps. This is a truly magnificent book. I can't remember the last time I read a story that had me wanting to cry, but Stones for my Father definitely got the tear ducts working! It's a fictional story set in the non-fictional Boer War, which took place in Africa during the late 19th century and early 20th century. The narrator is a young girl called Corlie who details her harsh experiences throughout this brutal period. If you love novels with rich insight and dialect, drama and hope, then I can't recommend Stones for my Father enough. It's one of those books that really makes you think about your own life, putting everyday problems into perspective. Kent did a lot of research while writing this, so I trust that many, if not all, of the events that these fictional characters go through are accurate. Some scenes are horrific; family homes being burnt down, women and children imprisoned in concentration camps and racial segregation. But Kent has handles each subject with sensitivity and grace, and an eloquence that I find truly refreshing. 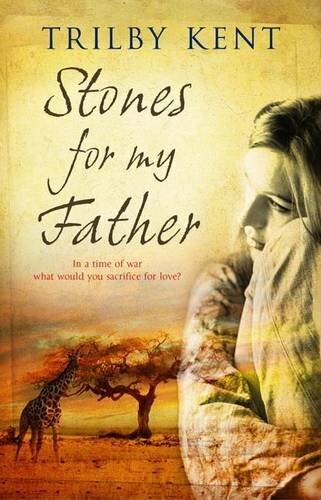 Stones for my Father is aimed at a young adult audience, however this will definitely appeal to older readers just as much. Stones for my Father is released in the UK on 19th January. To pre-order a copy, visit amazon.co.uk or almabooks.com.